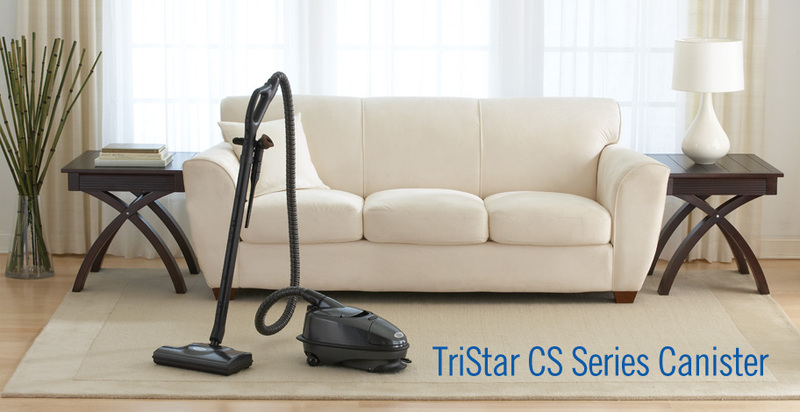 The TriStar CS™ Series includes everything you need to clean all surfaces in your home and tools are stored on-board for your convenience. 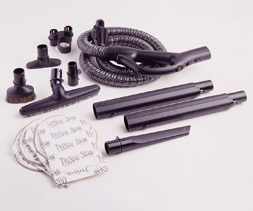 All accessories are air breathing, permitting consistent, high-velocity airflow for more efficient cleaning. Without the proper airflow, small particles of dirt and debris would remain. Hose and handle assembly. The hose is crush resistant and the ergonomic handle swivels 360 degrees for ease of use. Floor tool. Use with bare floors or delicate rugs. Crevice tool. Perfect for hard to reach areas, such as between cushions, in tight spaces or in the car. Upholstery tool. Cleans sofas, chairs, and mattresses. Dusting brush. Horse hair fibers are soft for all surfaces; great for use on blinds. Accessory tool holder. Store the tools on-board for easy access. The MiniStar is a small, lightweight brother of your TriStar power nozzle. It allows you to take your TriStar to places you could not get to before. The MiniStar makes cleaning your stairs a breeze. It's lightweight and powerful motor will dig the deepest dirt from the carpet of your stairs. Designed to reach tight spots throughout your home that a standard size power nozzle can't reach. 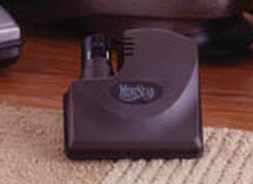 Deep clean your upholstered furniture with the power of the MiniStar. Cleaning dirt from the carpets and seats of your car is quick and easy with the MiniStar.